AZPP's repair services are a lot faster than ripping up your piping and redoing everything. Using state-of-the-art materials, we want to get you back to your normal routine as quickly as possible so that you don't lose potential customers. Headquartered in Mesa, Arizona, we provide reliable service throughout the state of Arizona. Fiber wrap pipe repair is the best option for all of your external pipe repair needs. Here at AZPP, we are committed to giving you the highest-quality service that's available at an affordable price. Whether you have exposed pipe on an industrial structure or on a commercial building roof, parking garage, or basement, we can help. We have successfully completed repairs for large 12" pipes on industrial sites, as well as small diameter pipes. AZPP works around your schedule, repairing the pipe at the time that is best for you. Along with our personable services comes top-of-the-line material. We use the industry's best epoxy and fiber wrap, which is why we include a one-year warranty on all of our repairs. Using high-grade fiber and epoxy, our certified team comes to your location to custom build a new structure inside of your broken grease trap, and it doesn't matter if there are holes or corrosion. We make sure that the new structure functions at the same dimensions of the preexisting grease trap, operating as good as new. This newly sealed tank can be built without having to jackhammer, dig, and replace, making for a quick, clean, and affordable operation. Our structure is corrosion and chemical-resistant–so strong that it comes with a lifetime warranty! We have repaired thousands of pipes for homes throughout Arizona. We can help you save money and time, as well as your home's landscape. AZPP has repaired hundreds of pipes for restaurants, movie theaters, and shops. Offering our detail-oriented services 24 hours a day, 7 days a week, we work around your schedule so that we don't interrupt your business hours. We have repaired large and small pipes for oil refineries, food processing plants, and wineries. If you don't properly maintain grease traps, it can lead to expensive downtime and repair costs. 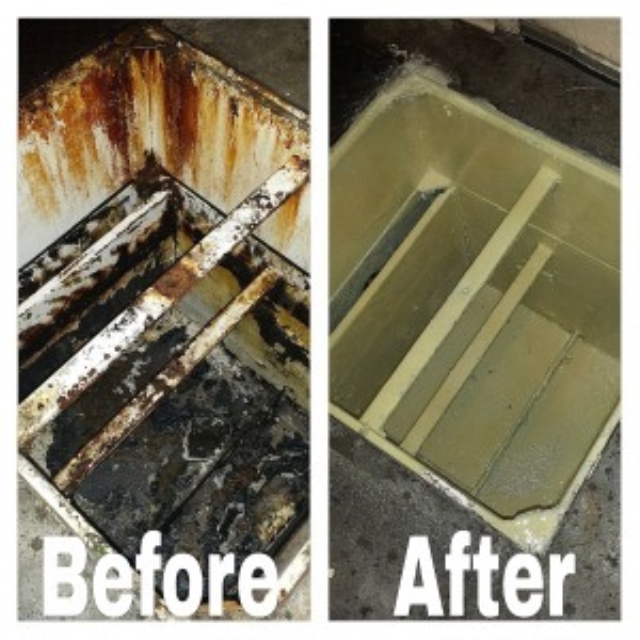 With our amazing grease trap repair services, AZPP can make sure that doesn't happen to you.